Clarksville, Tn — The Nashville Predators manhandled the Winnipeg Jets tonight with a 4-0 shutout victory in front of a sold out “white out” crowd in Winnipeg. The win forces a game 7 in Nashville on Thursday night. The Nashville penalty kill was superb against the Jets, and it had to be since there was only one penalty called against the Jets all night. The Predators fought off six minutes of penalties in the first period alone. The win backs up the claim from P.K. Subban who guaranteed there would be a return to “smashville” for the game 7. 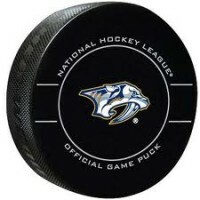 Viktor Arvidsson started the scoring just one minute into the game with his deflection of a Roman Josi shot that beat Connor Hellebuyck for the early 1-0 lead. The call on the ice was a no goal, but video review overturned the call on the ice. Filip Forsberg would score his first goal of the night at 8:16 of the second period on a pass from Craig Smith that gave the Predators a 2-0 lead. The period would end with the Predators holding a tenuous 2-0 lead against a powerful Winnipeg team that has been known to score in bunches. As the third period got underway, Winnipeg stepped up the pressure on Nashville goalie Pekka Rinne, who stopped 34 shots on goal tonight, but to no avail. Rinne played one of his best games of this series against the Jets, after being pulled in the last game at home. Forsberg would give Nashville a 3-0 lead at 5:55 of the third period with one of the nastiest between the legs shot for the score that totally fooled Hellebuyck. The highlight reel score would be replayed by the network over and over in disbelief of the announcers calling the game. The final tally would come on an empty netter by Arvidsson at 15:58 of the final period, and the Predators would seal the game at 4-0. The series returns to Nashville on Thursday night with a 7:00 pm start.